A Wookiee raised on Kashyyyk, captured and enslaved by the Empire, Chewbacca made fast friends with Han Solo when their only means of escape was each other. Inseparable ever since, Chewbacca has lent his abilities as a warrior to the rebel cause time and again. 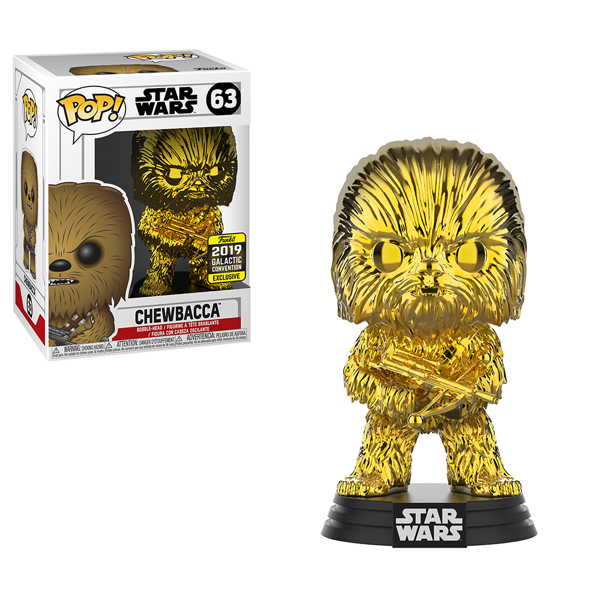 This Gold Chrome Pop! 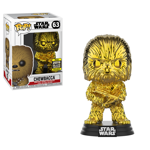 features Chewbacca, with the crossbow he used when fighting the First Order on Takodana. Add him to your collection today!